Our new and comprehensive portfolio for the endoscopy contains all products for laparoscopic surgeries. 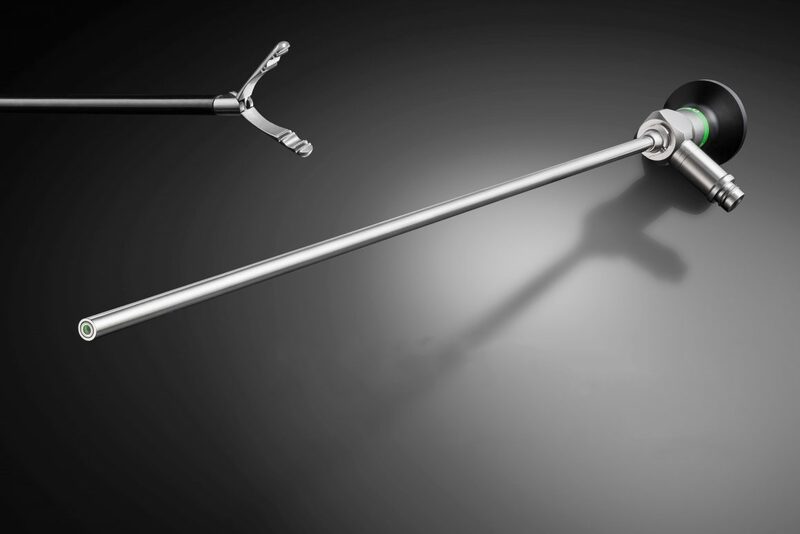 Our special PEEK automatic trocar sleeves with silicon valves and the safety trocars guarantee an ideal access for all laparoscopic interventions. The ergonomic and 3-part detachable ring handle system features a convincing range of 3,5 mm, 5 mm and 10 mm inserts. This provides the perfect instrument for every laparoscopic procedure. An absolute specialty are our endoscopic needle holders with a lightweight and ergonomic aluminum axial handle. 3 Chip Full HD cameras, light sources with newest long- living LED technology and various laparoscopes ensure an ideal picture of the operating field. Effective and easy to handle insufflation- and pump- systems complete our portfolio.